Who knew spinning discs could be like a full-contact sport. 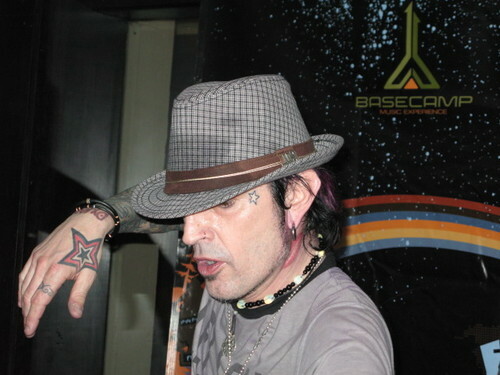 Tommy Lee works up a sweat at he jams. His star tat's are pretty gnarley.